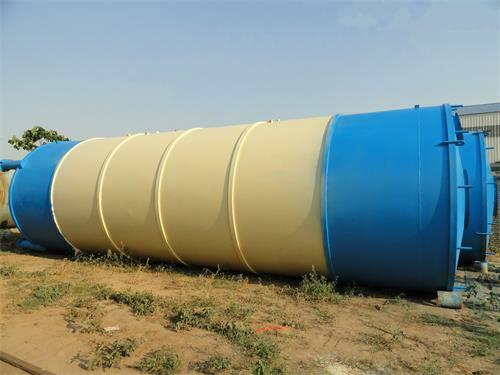 Generally speaking, cement silo is a kind of container used in the concrete batching plant or dry mortar plant to store bulk cement. 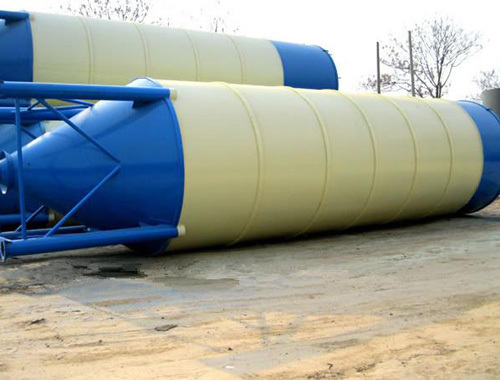 Bulk cement silo is a sealed container to store bulk material. It is suitable to store various kinds of particles of dry material and powder, such as grain, cement, dry fly ash and other bulk materials. With the cooperation of screw conveyor, the materials can be transported to various locations. On the first half of 2018, two sets of Aimix 50t cements silos are exported to the UK. One set of 150t cement silo are exported to Australia. 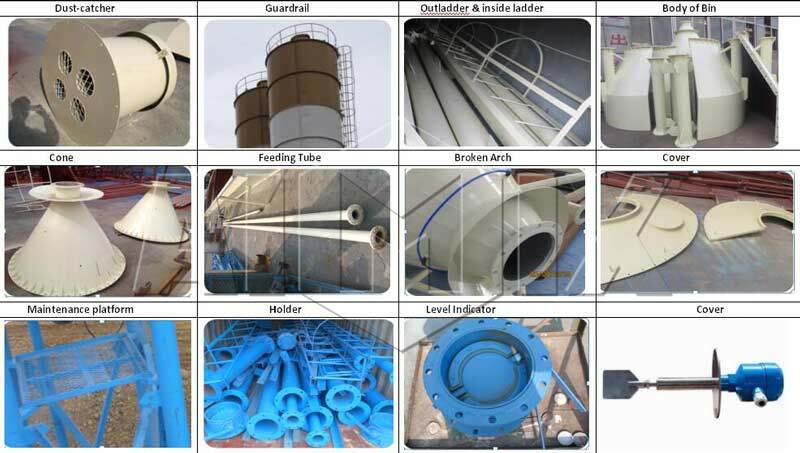 The cement silo often consists of dust catcher, guardrail, ladder, body of bin, level indicator, feeding tube, pressure safety valve, manual butterfly valve and holder. The level indicator is installed to show the position and quantity. Hole breaking device can deal with the solid circumstance because of long deposition. The cooperation between cement silos and screw conveyor pump can transport the materials to everywhere you want. 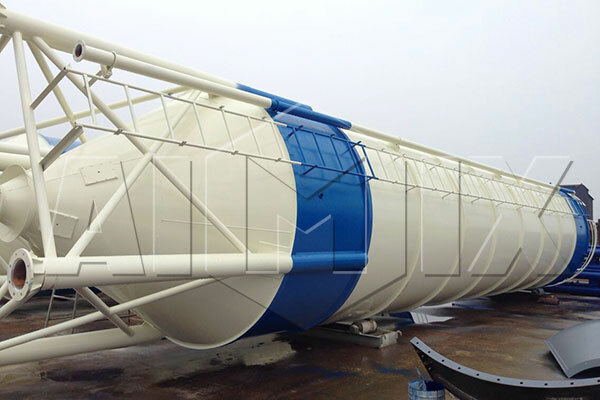 What’s more, the convenient transportation and installation make the cement silo popular among the various kinds of concrete batching plant. 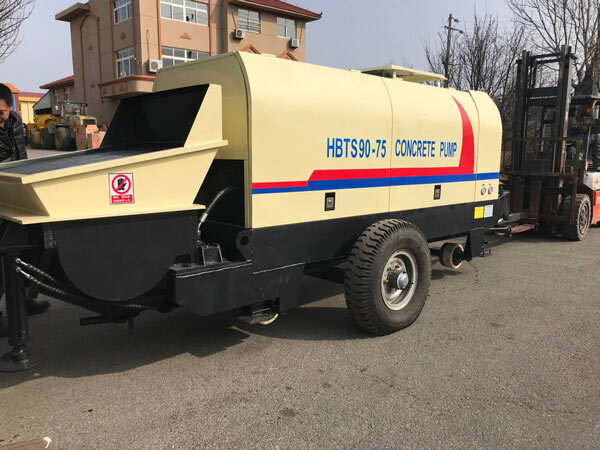 When the bulk cement pump truck conveys powder to the silo, there will be a pressure difference inside and outside the cement bin, as a result the air with dust will be emitted from the warehouse. Because it is powder in the cement bin, the dust will be generated easily and pollute the air. The function of dust collector is to filter the gas discharged from the bin. In the meantime, the pressure of the inside and outside the bin is balanced. Some dust collector with vibration device will shake the dust collector at regular time, but the machine without the vibration device should be checked regularly. Safety fence is welded by circular tube. When the cement silo needs to be repaired, workers should climb up to the top of the body with the step of weld tubes. Workers must enter the silos from the top part; the maintenance and clearing of dust catcher also can be finished in the top of silo. Level indicator is a part to measure the height of the powder inside the cement silo. There are various kinds of level indicators, what we use in our company is wane-type. The fundamental principle is that according to whether there is material in the range of the reaching position, the signal light can be controlled as a warning. In one cement silo, one or two lever indicators are proper. 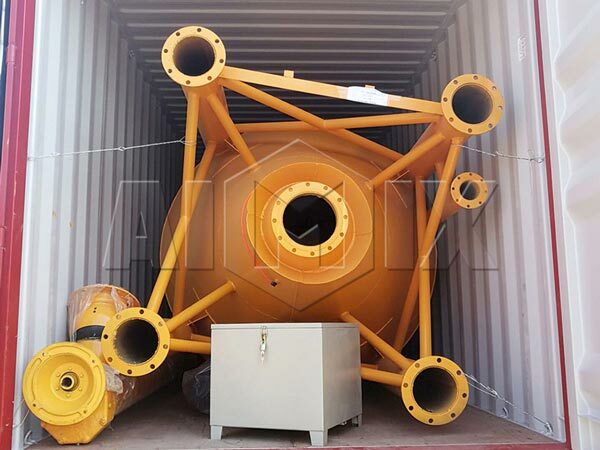 Generally, when the raw material is out of the warehouse, it is easy to form a blockage because of the larger size of the silo body and the smaller size of the exit. The aim of broken arch system is to deal with the blockage to ensure the smooth output of material. The air can be pressed into the broken arch so that the material is loose and smooth in the process of transportation. Holders locate in the bottom of cement silo are bridge connecting the body of silo and the ground. 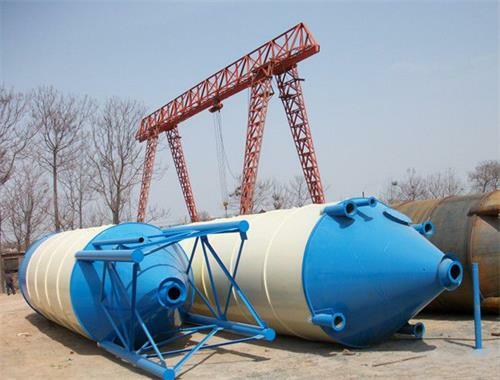 The height of the cement silo can be changed according to the requirements of the different matters. The sealing property of the equipment must be checked to prevent the leakage of air. According to different dust catcher systems, the dust catcher system mainly includes the mechanical cleaningand pulse cleaning. The daily maintenance of power system is whether the fan is running normally. The filter system should be checked to ensure the normal work in the internal cloth bag. Only with these daily maintenance to the cement silo can the silo work efficiently and the service life of the machine improved. 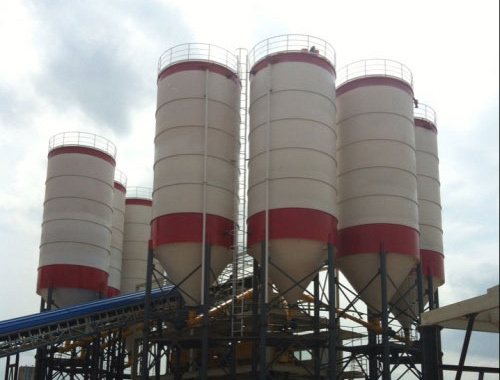 The silos can be used to store and supply many materials suchas cement, sand, fly ash in the concrete batching plant and tile adhesive manufacturing plant. The quality of cement silos is excellent. With the special design in the cement silos, the silos have good sealing and stable performance. It also can prevent the drop of the rain. There are some white elephant in the market, but the products in Aimix are designed with the ideasof simpleand practical . The silos can be deliveredas a whole or separately. 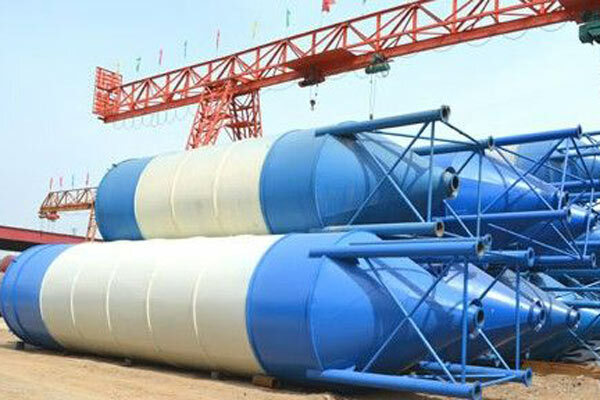 If the silos are separatein the process of transportation, it will save the space in the container. However, if the silos are transported as a whole, it will save the time to install so that it can be used directly. 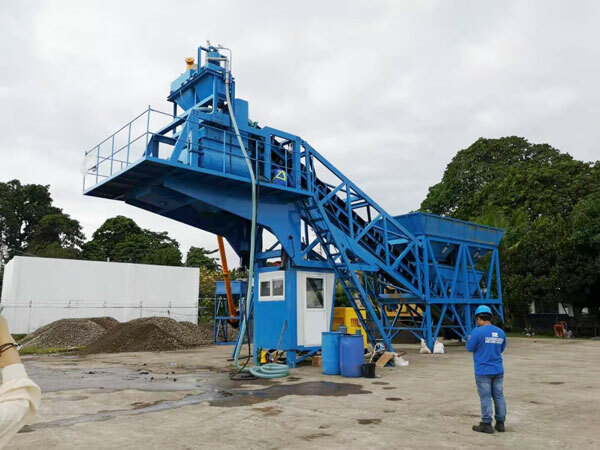 Generally speaking, it is used with the cooperation of concrete batching plant/building to store concrete and dry fly ash. It is ideal as a set of equipment for storing. It has short construction period and low cost. It can be set upon site with fast speed and very short time limit. 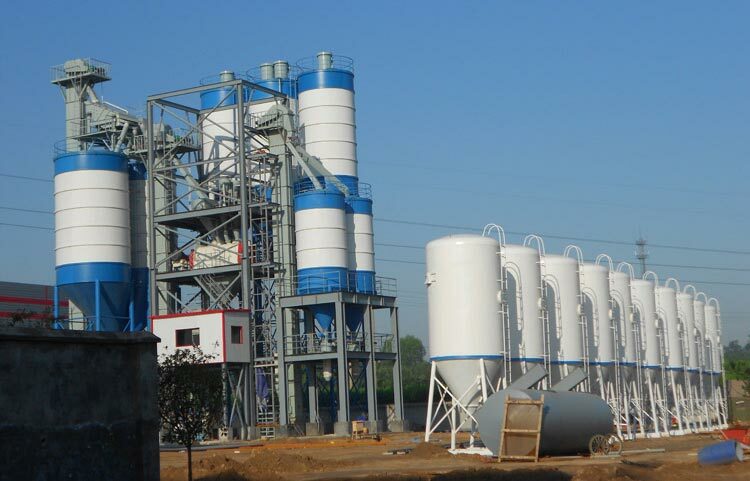 As mentioned above, the cement silos our company Aimix produced have reliable performance and ensured quality. All of the components in concrete batching plant such as silo, concrete mixer and screw conveyor and so on are available in Aimix. If you need this kind of products, we’ll supply the products very soon. Please feel free to send an email to us, and we are sure to give you a reply as soon as possible.